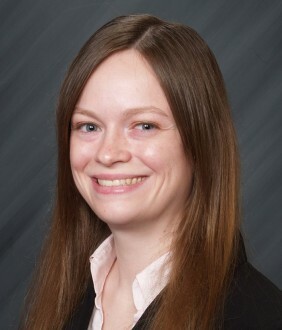 Laura E. Powell-Schumacher is a paralegal with Justis Law Firm LLC. Laura grew up and still lives in Overland Park, Kansas. After high school, Laura attended Avila University, in Kansas City, Missouri. She graduated from Avila in 2009 with a Bachelors Degree in Political Science. At Avila, she was an active member of the Mock Trial Team. After graduation, Laura began working as a paralegal, while also attending Johnson County Community College. She later obtained a Paralegal Certification from Johnson County Community College. Laura is married with one daughter named Athena. She is the coach of Athena’s outdoor soccer team. Laura’s family has three rescue dogs and enjoys hiking with the dogs. Laura and her family are vegetarians and are very interested in nutrition and buying locally grown produce. She also enjoys gardening, playing piano and guitar. Laura volunteers with Care for Poor People in Kansas City, Missouri and the Astronomical Society of Kansas City, in Louisburg, Kansas.